Other Notes: Brewed and bottled by Mercury Brewing Co., Ipswich, MA. 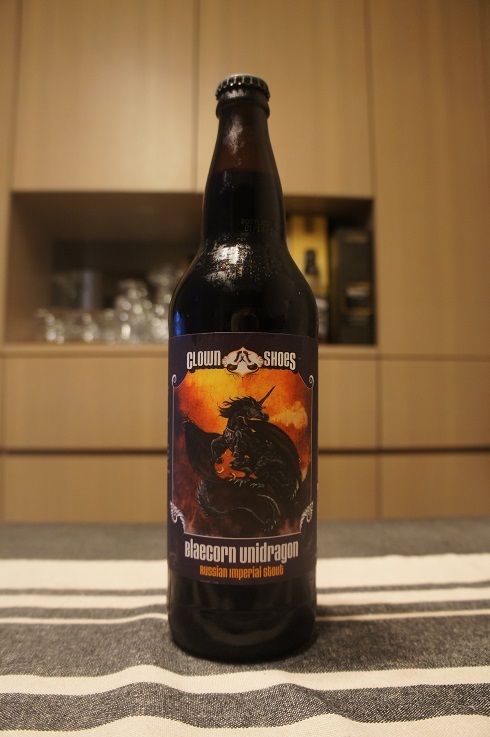 Brewer Description: (from bottle) What should we call our Russian Imperial Stout? Black Unicorn? Soul Dragon? Nahhh. 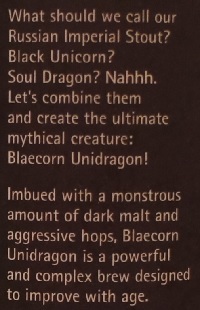 Let’s combine them and create the ultimate mythical creature: Blaecorn Unidragon! 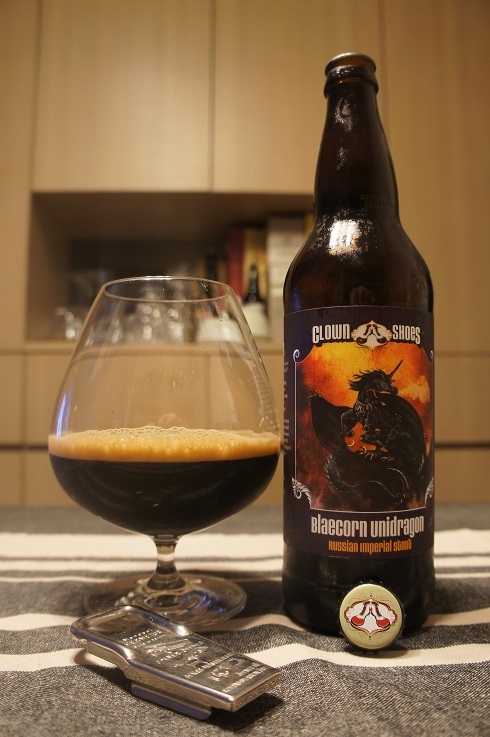 Imbued with a monstrous amount of dark malt and aggressive hops, Blaecorn Unidragon is a powerful and complex brew designed to improve with age. Intro: A 22 fl. oz. bomber, bottled on 14th January 2016. Poured into a snifter. Appearance: Black in colour with a one finger dark tan head that had pretty good retention and left some nice lacing. Aroma: Roasted malts, chocolate, cocoa, espresso, liquorice, anise, pine with a hint of citrus peel and char. 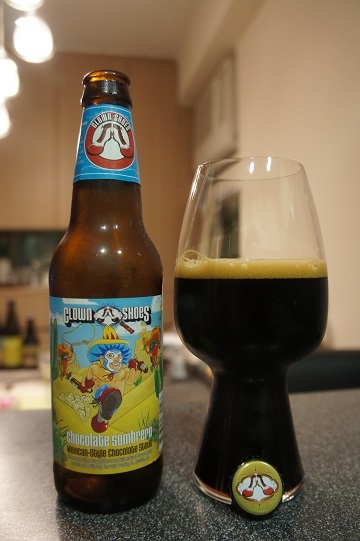 Taste: Roasty, char, chocolate, cocoa and liquorice with some piney hops coming through at the end. Overall: Nice to sip, and even after almost two years, the hops are still coming through quite clearly on the finish, it kind of reminded me a bit of a strong Black IPA. 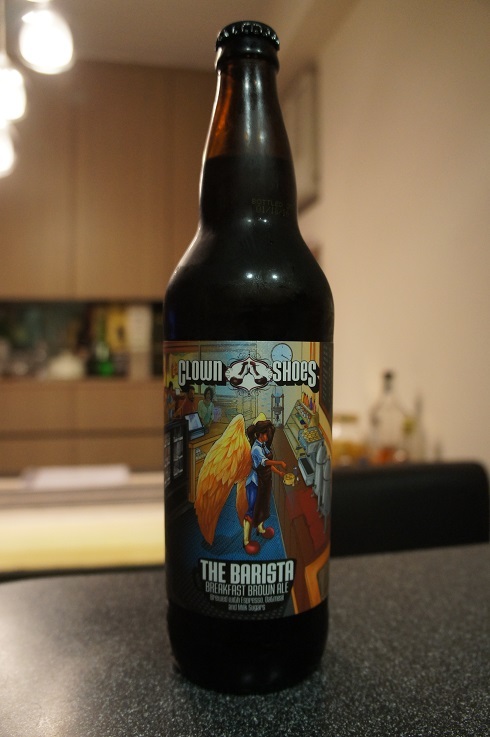 Other Notes: Brewed with Espresso, Oatmeal and Milk Sugars. Brewed and bottled by Mercury Brewing Co., Ipswich, MA. 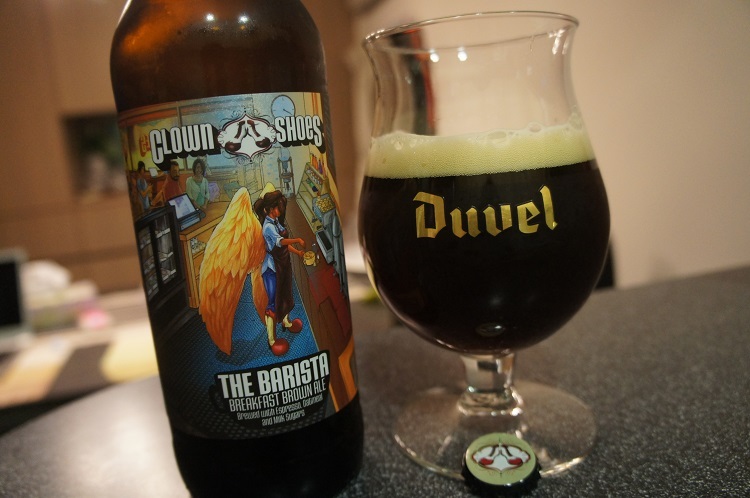 Brewer Description: (from bottle) A Clown Shoes legend, Brown Angel, put away her dancing shoes to focus on extracting espresso, brewing coffee, and pouring latte art with zen-like focus. The Barista Breakfast Brown is crafted with Maris Otter malt, flaked oatmeal, cold brewed espresso, milk sugars and the spirit of angel wings. Intro: A 22 fl oz bomber bottled on 18th January 2016 and poured into a Duvel tulip glass. Appearance: It poured a dark brown colour with a darkish orange hue and a slightly more than one finger khaki creamy head that had decent retention and left nice lacing. Aroma: Roasty espresso and brown sugar with hints of hazelnuts, almonds and chocolate milk. 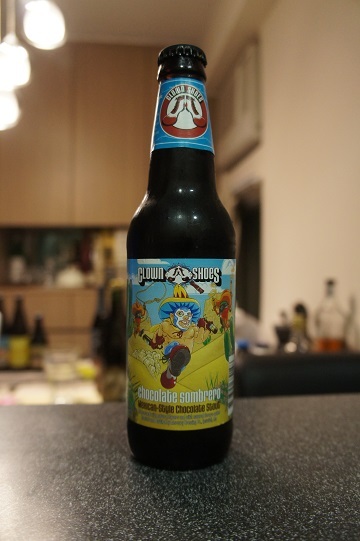 Taste: Sweet-ish brown sugar, toffee and cacao nibs. Espresso was there but surprisingly not as much as expected considering how strong it was in the aromas. There was also a light nuttiness in the background. Mouthfeel: Medium to light bodied with light carbonation. Overall: This was pretty good. The aromas were nice and the taste was pretty good although I was hoping for more coffee. On top of that, it was pretty light bodied whereas I was expecting something thicker and closer to being mid to full bodied. Other Notes: Self styled Imperial Red India Pale Ale. Brewed and bottled by Mercury Brewing Co., Ipswich, MA. Brewer Description: (from bottle) Once upon a time a man walked into a bar where a friend of ours was tending the taps. 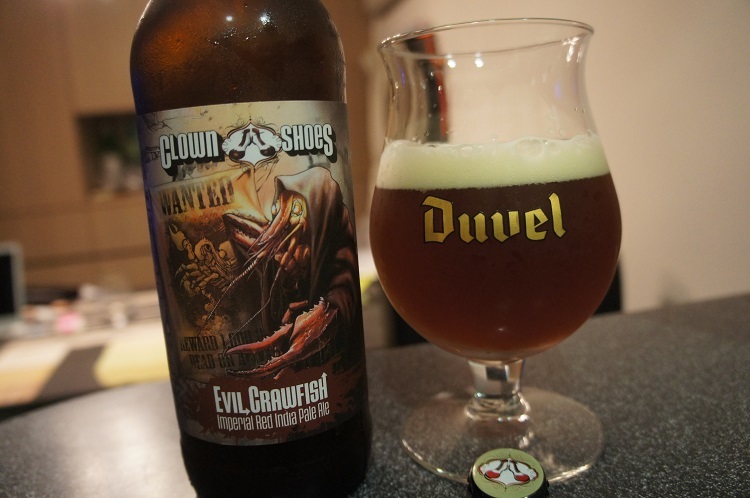 He tried to order an Eagle Claw Fist, but got it wrong, and asked for an Evil Crawfish. When we heard the story, after much laughter, we knew one day we’d make the beer. Finally, here it is, built off of ECF, but cleaner, meaner, less bitter, and dry hopped with Citra, Simcoe, Mosaic and Nelson Sauvin. Intro: A 22 fl oz bomber bottled on 20th January 2016 and poured into a Duvel tulip glass. Appearance: It poured a clear amber copper colour with a slightly less than two finger off white head that had pretty good retention and left nice lacing. 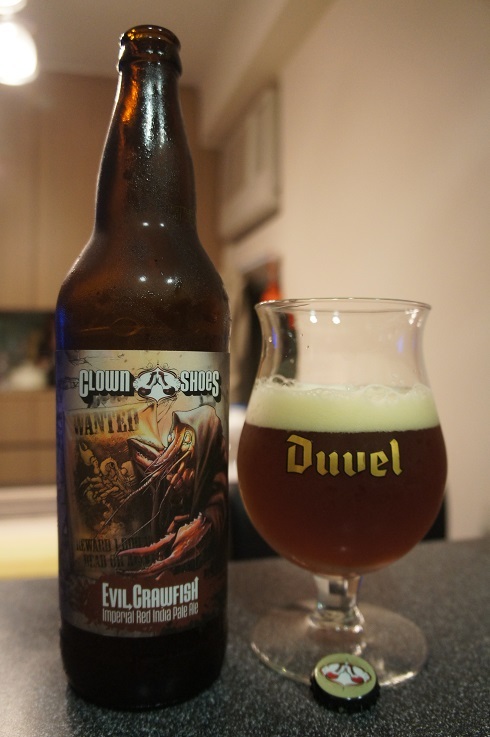 Aroma: Sweet biscuity caramel malt followed by some juicy apple, plum, pine and grass. 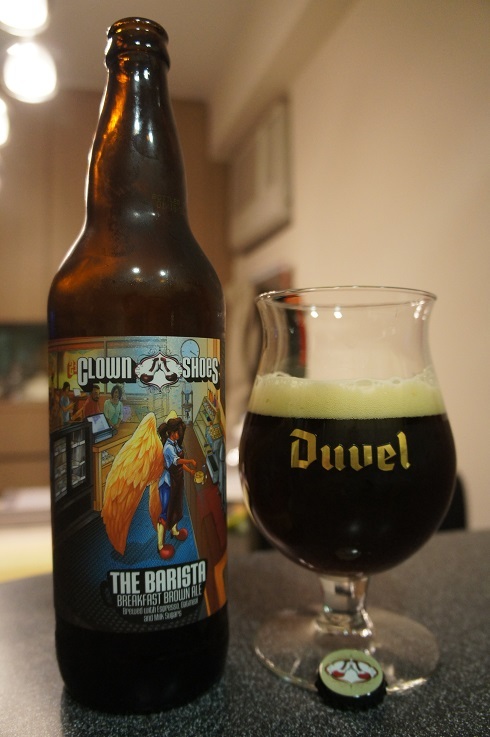 Taste: Starts with nice sweet malt with caramel and biscuit notes followed by prune sweetness. Bitterness comes through on the finish with pine, grass and orange peel. 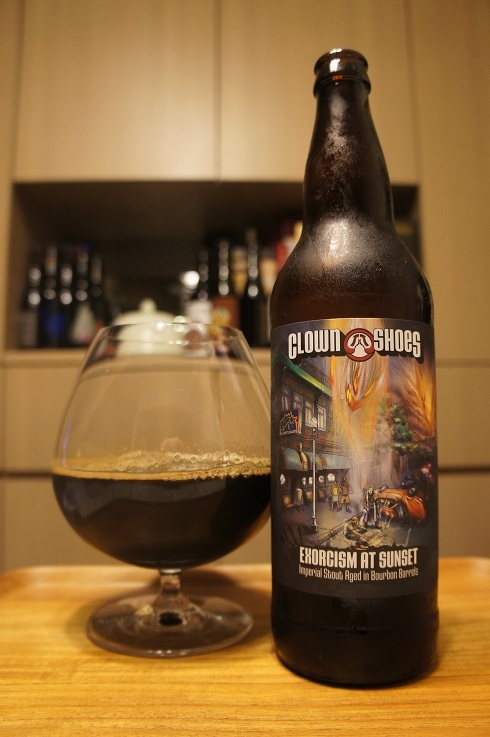 Mouthfeel: Medium bodied with slightly less than moderate carbonation. Overall: This was well balanced for me. It’s not my favourite style but this was pretty good with its nice lasting bitterness. 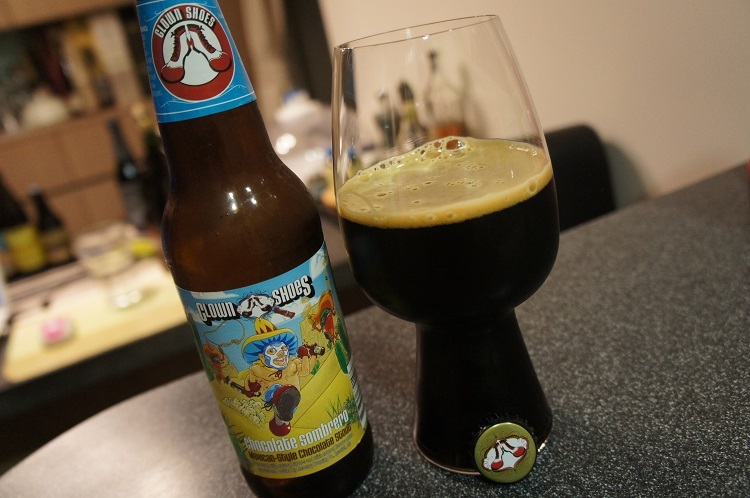 Brewer Description: (from bottle) Roasted dark malts plus extra chocolate malts plus ancho chilli plus cinnamon plus vanilla extract plus a chocolate loving, beer drinking, Clown Shoes wearing, multi limbed, gorgeous and glorious Mexican wrestler on the label. 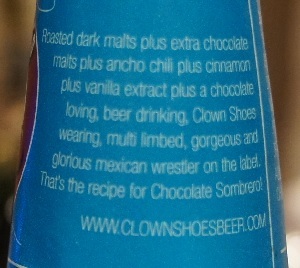 That’s the recipe for Chocolate Sombrero! 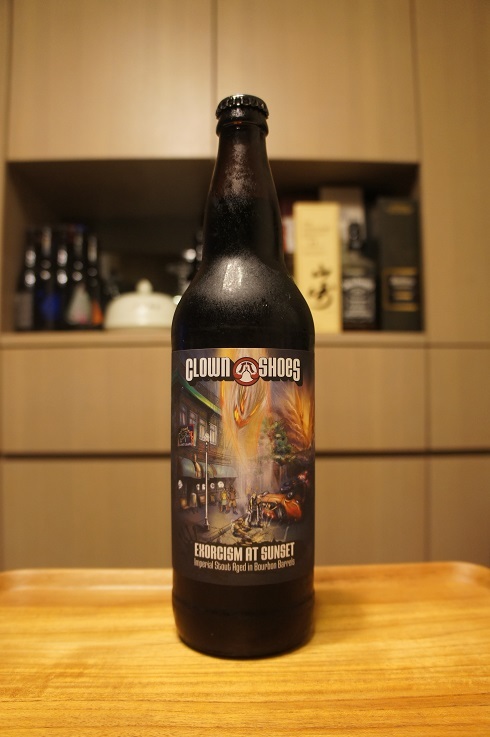 Intro: A 12 fl oz bottle bottled on 12th March 2015 and poured into a Spiegelau stout glass. Appearance: It poured a deep dark brown colour with a one finger tanned head that dissipates quickly and leaves some stringy lacing. Aroma: Strong chocolate aromas mixed in with a hint of vanilla and cinnamon. Taste: Much like the aroma, chocolate is the main theme with a definite roasty element to it. There’s a hint of vanilla and the finish is chocolate ice cream. I don’t know what ancho chilli tastes like, but the spice in this one is very light and in the background. Overall: The first time I tried this, it was at a tasting and I didn’t like it too much, but now with a proper sit down, I enjoyed it. 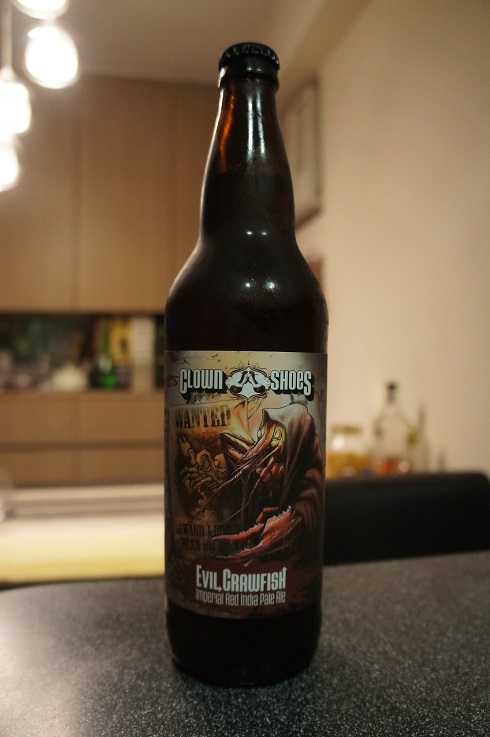 The aromas and taste was pleasant and you don’t get the 9% at all.